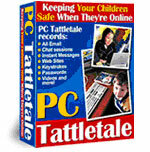 PC Tattletale Parental control software contains all the PC monitoring tools you'll need to keep your child safe - in a single easy to use software suite! Netlink builds custom business grade computing systems using only the best quality components. GFI Software provides the single best source of Web & Mail Security, Archiving & Fax, Networking & Security and Remote Monitoring & Management solutions software for small to medium sized businesses. Clear offers a robust suite of advanced high-speed Internet services to consumers and businesses. It is currently building a 4G WiMAX mobile internet wireless network, bringing together an unprecedented combination of speed and mobility. We strive to serve as our customers' trusted partner in protecting and preserving their irreplaceable data by providing an affordable, reliable, secure and easy-to-use online backup service. Venyu business-grade online backup Venyu combines the proven AmeriVault online data backup service with remote, offsite storage. Your data protection strategy receives all the benefits of expert technical support, top-rated datacenters, and maximum security controls. MozyPro Online Backup You shouldn't have to think about backup. Your files should be encrypted. Your backups should be smart. AVG Anti-virus providing powerful, easy-to-use protection that works efficiently and invisibly in the background so you can focus on using your computer, not worrying about security. Music in your house. Music in your hands. Complete wireless music system for your whole house. Sonos puts the control of all your music in an easy to use wireless controller connecting to each base unit collectively or separately. Cavalier is a full service provider of reliable and efficient telecommunications solutions for business and consumer customers.